The Lightware DG5024 Monitor Case (Black) is designed to transport an Apple iMac 23" computer or 23" display monitor. It uses Lightware Power Kit construction, which is made up of a lightweight Lexan core covered in closed cell foam and covered yet again with foam backing. There is a soft, gray tricot lining. It is all enclosed in a padded ballistic nylon shell. The case has 2 moveable V-shaped dividers and 2 standard movable dividers. A pillow divider to protect the screen is also included. 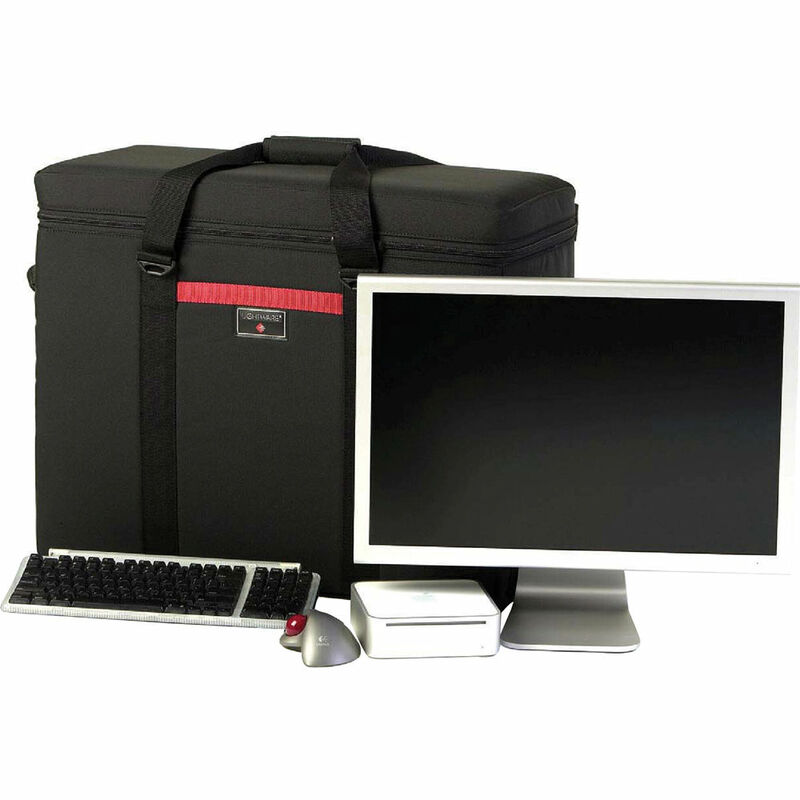 The case is transported by a standard carrying handle. There are attachment points for an optional shoulder strap. Box Dimensions (LxWxH) 30.0 x 24.0 x 13.0"